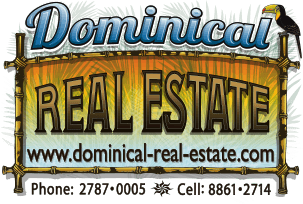 2.4 ACRES - 3 Bedroom Luxury Ocean View Home With Pool Located In Escaleras!!!! Casa Bambu embodies the ideal Dominical mountain-side experience. The property is set down a quiet, no-through-traffic residential road with a gated entry and absolute privacy. The southern flank has a year-round creek and mature jungle which brings an abundance of wildlife and sounds of trickling water. Directly to the west is a deep-horizon ocean view which is totally unobstructed and free of other visible homes with year round sunsets on the ocean horizon. The home has a semi-detached, two stall car port with a covered walkway to the main entrance. The main floor is an open concept with twenty foot high ceilings, is full of light and has a wrap-around terrace. Also on this level is a powder room and the master bedroom which features a full-size tub and walk-in closet. The lower level, which has an independent entrance, has two bedrooms (one en-suite), another full bathroom, a lounge area and lots of outdoor living space. On this level the infinity-edged pool is also located beside a fully functional kitchen which is ideal for enjoying the beautiful surroundings and connection with nature that this area affords. The home was built by one of the area's leading contractors about 12 years ago, has mature landscaping, a private water well and room for expansion on the 2.5 acre lot. Contemporary homes with great privacy and stunning ocean views are in high demand in the area from a purchase and rental standpoint. This is an opportunity to own an amazing piece of real estate in the area's most sought after section of the mountain side. About equidistant (10 mins) to both Dominical and Uvita, it's perfectly situated for enjoying the area's pristine beaches, waterfalls, shops, services and activities.